You can add as much of your personal touch as you want. There are plenty of low budget DIY options to creating the perfect spring wreath if you’re feeling crafty. If you would rather not spend any time of effort in creating your own, stop by a local home decor shop and pick one up! All you have to do is hang it up and welcome the spring season! Nothing says spring like a pop of color! 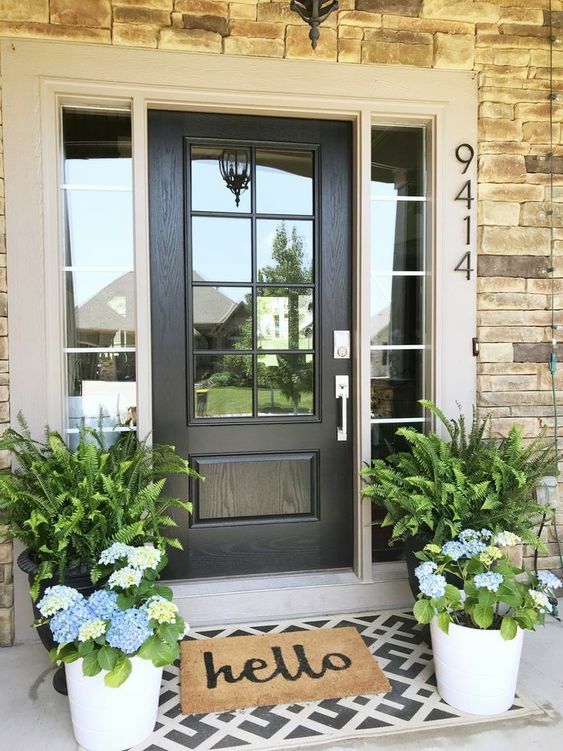 Upgrade the look of your front door with this inviting and on trend look of layering a bright doormat under your everyday one! Spring brings new life! Liven up your porch with a few potted plants filled with your favorite greenery and a few pops of color. Bored of your basic front door? Why not freshen it up a little? 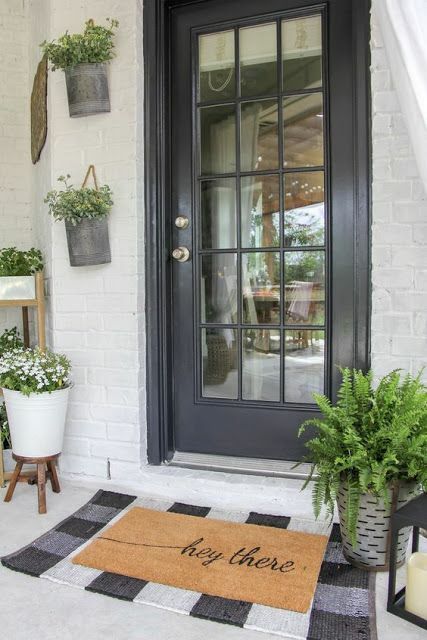 Adding a fresh coat of paint can really give your front entry a whole NEW look and feel. Check out some of these fun yet simple door and shutter updates. 5. Take Spring Cleaning to the Extreme! Power wash your house to make it sparkle! A good spring cleaning can do wonders to boost your home’s curb appeal. From the porch to your driveway, this will make your house look just like new. Rent a power washer from a local hardware store if you need an excuse to spend a couple hours outdoors. Or hire a handyman to do the work for you.